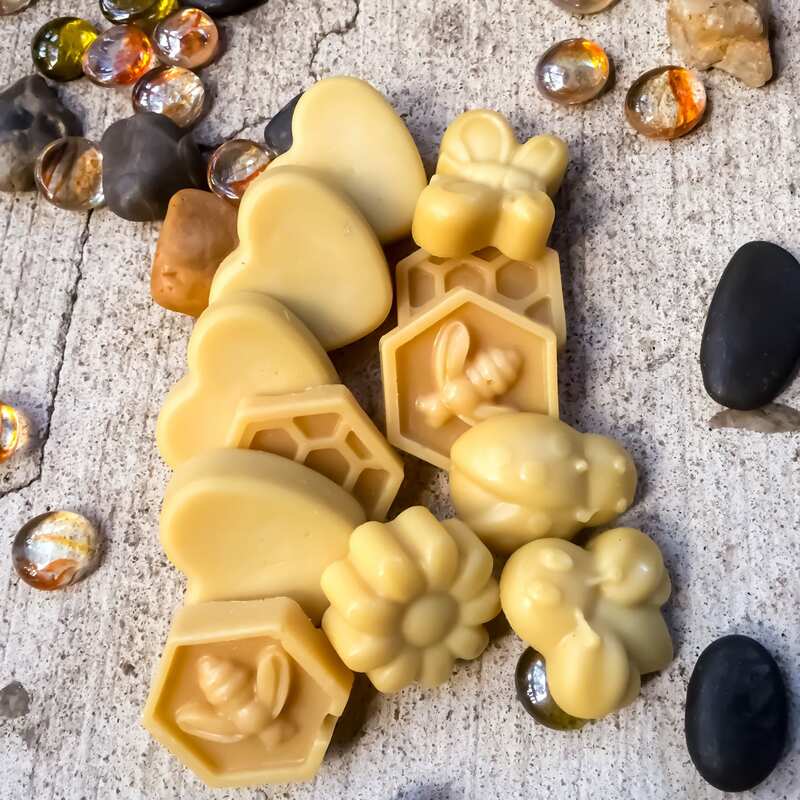 Pure organic beeswax, organic virgin coconut oil and essential oils are mixed to create these decorative Beeswax melts. You’ll receive a mixture of hearts, honeycombs and garden friend. If you’d prefer all of one just let me know. I think you really should try the vanilla and the pumpkin, but they are all yummy scents. They will make your house smell like you’ve been baking all day. Perfect for this Holiday Season. You get 12 melts per bag, approx 6ozs. 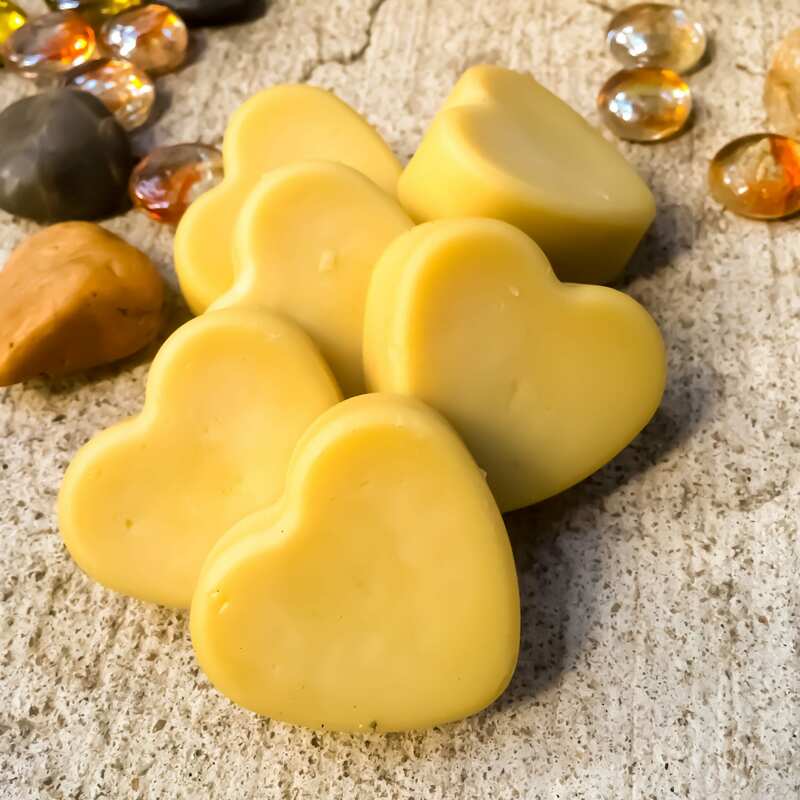 Wax Melts are used in an oil burner to add ambience and scent to your room. 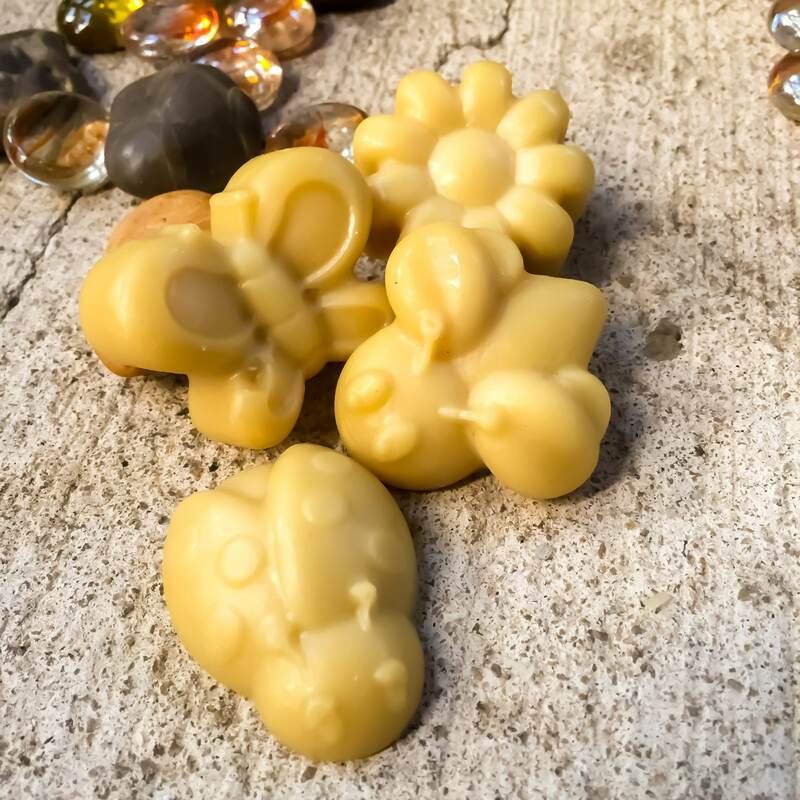 My melts are made from natural beeswax, wax melts can be melted several times over. No need to add water to your burner, just pop a melt in the top of oil burner/melt burner and allow the fragrance to fill the room. When cool, melt will solidify. Continue to use until there is no more scent. Allow to cool, simply pop your wax melt out & replace. 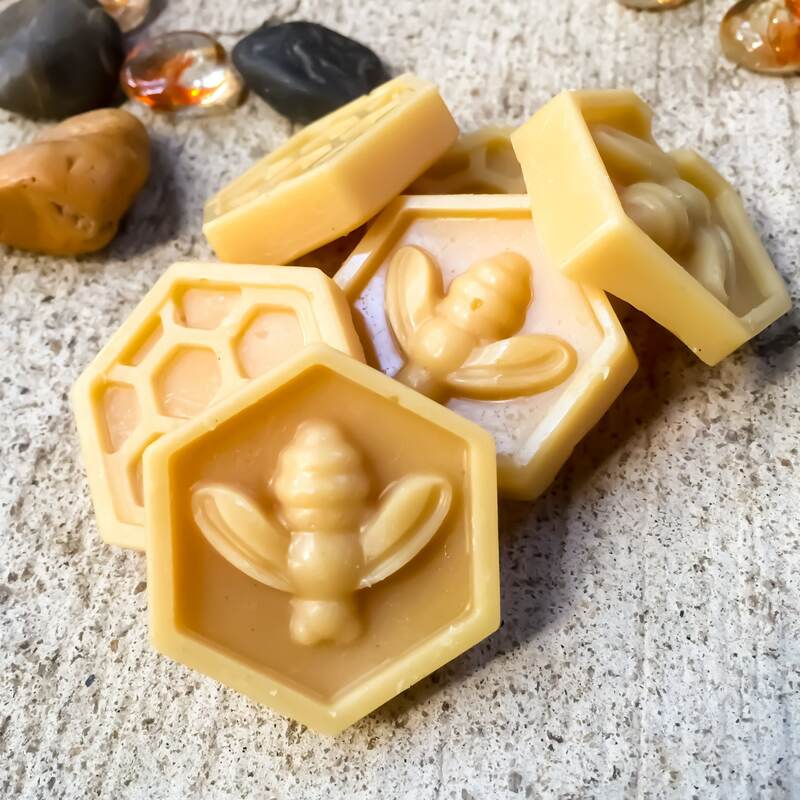 Beeswax is a renewable resource and a natural air purifier! 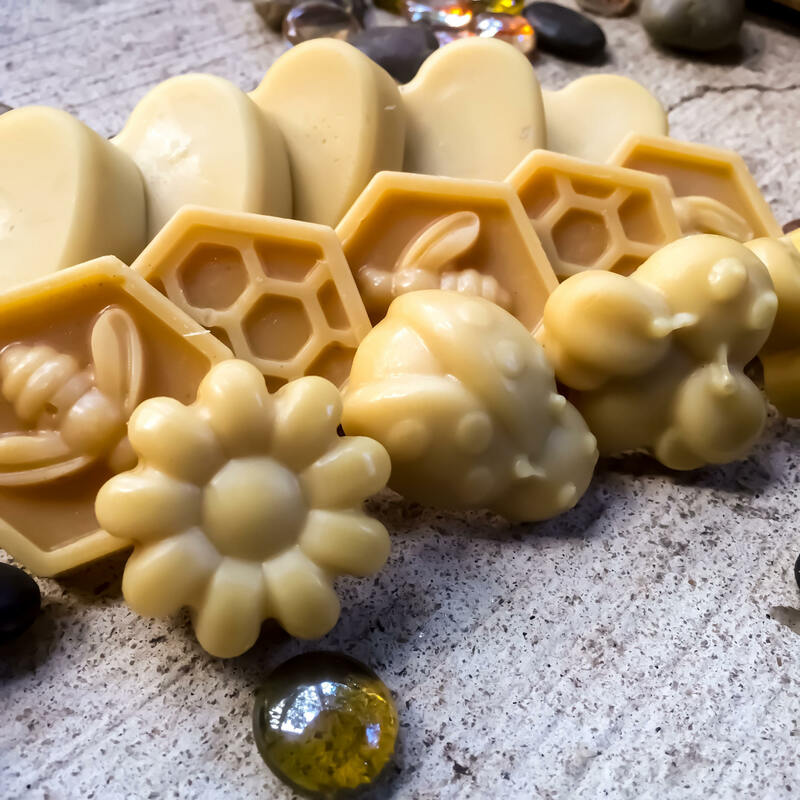 Beeswax is said to be natural ioniser, as well as harmonizing and balancing the human spirit. Beeswax candles/melts leave your air fresher and cleaner. and with only 100% pure organic beeswax. 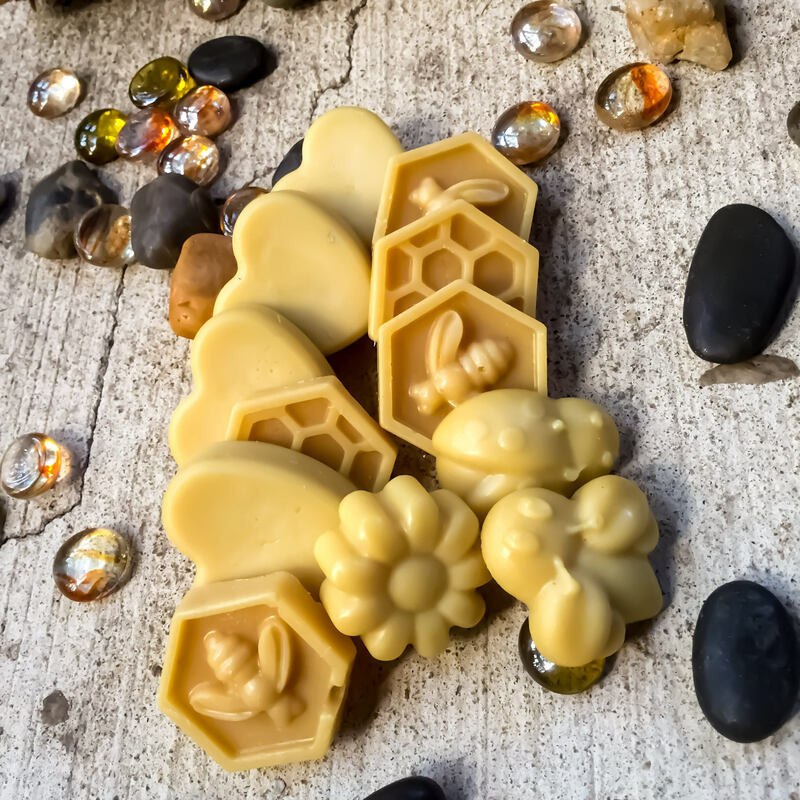 These gorgeous blends mixed with the natural honey scent from the beeswax is just exquisite. No added wax blends, just pure Georgia beeswax. Smells sooooo good, this is my second order! This is my second order from beEsom, love their wax melts, scents and candles! this time around we got the Peach and also the Orange Blossom melts and they are amazing! As always ...my "go to" for all beeswax candles. 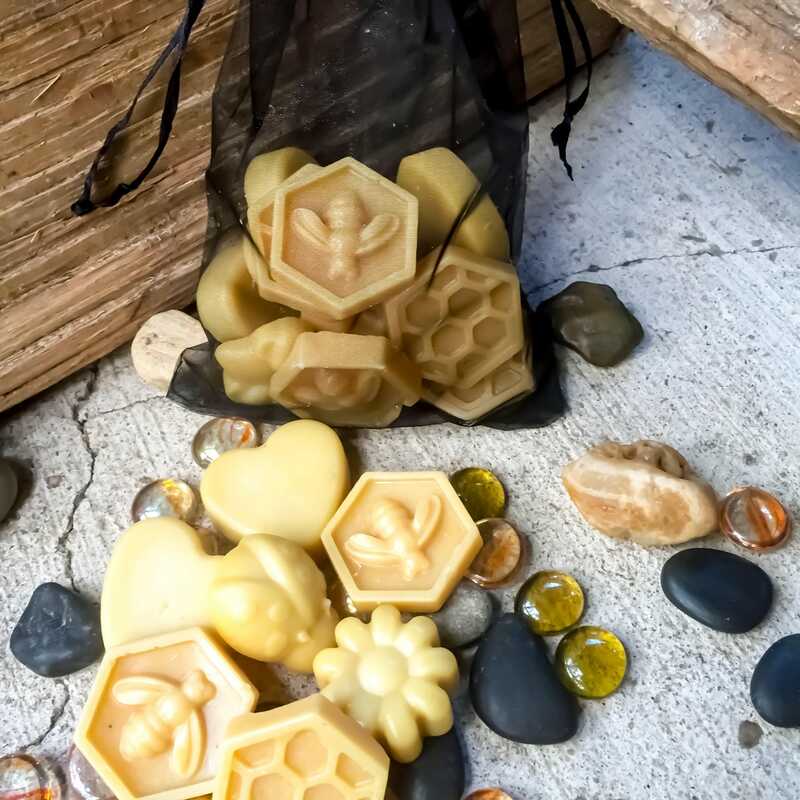 I've made many purchases and loving filling my home with pure natural beeswax candles and melts. Great gifty's as well!